Windows Essentials is a pack of applications released by Microsoft to group different email, instant messaging and photo sharing programs, that became a comprehensive part of the operating system with the release of Windows 8, and therefore, stopped receiving updates. 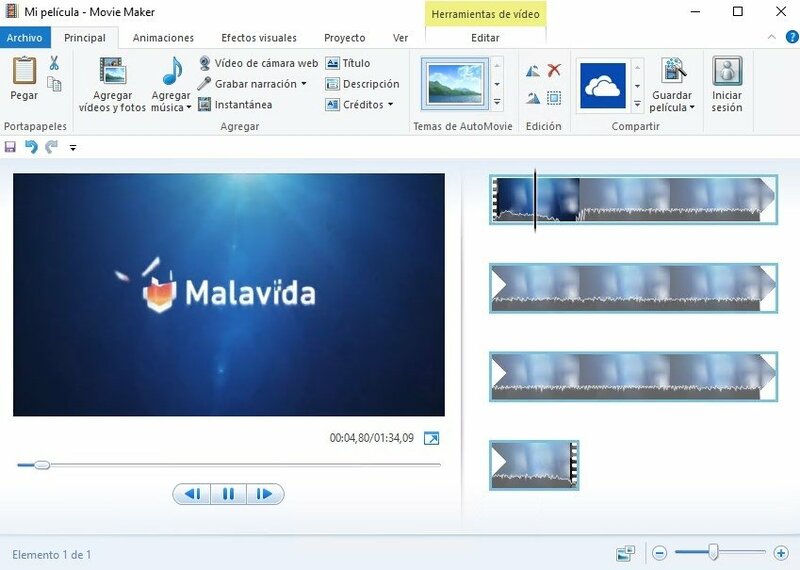 Among those applications, we have to point out Windows Live Movie Maker, a video editing software that you can still use on Windows 10, despite the fact that the guys at Redmond stopped offering support for the program in January of 2017. As usual in all Microsoft programs designed for a general user profile, this a piece of software with simplified functions and that can be handled by almost any type of user. Anyone can start creating and editing videos that can later be easily shared on channels such as Facebook, Vimeo, YouTube or Flickr, among others. 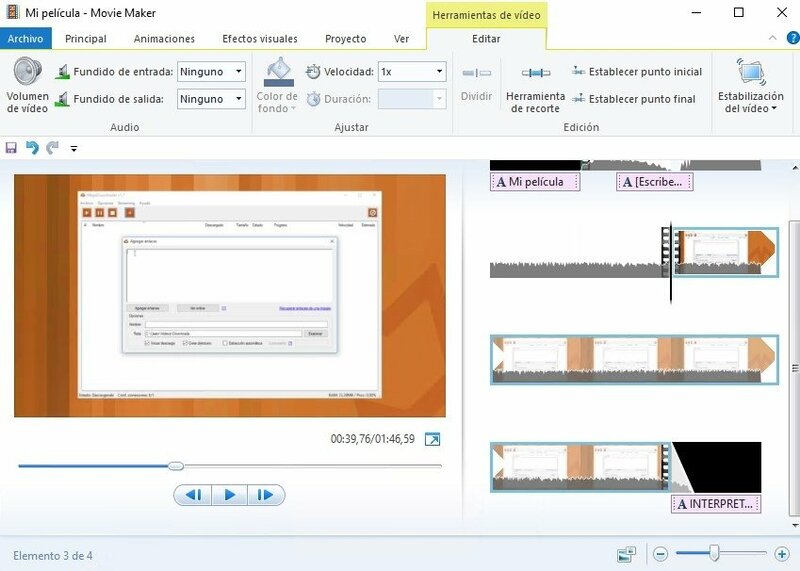 The easiest way to create and edit videos on Windows PCs. 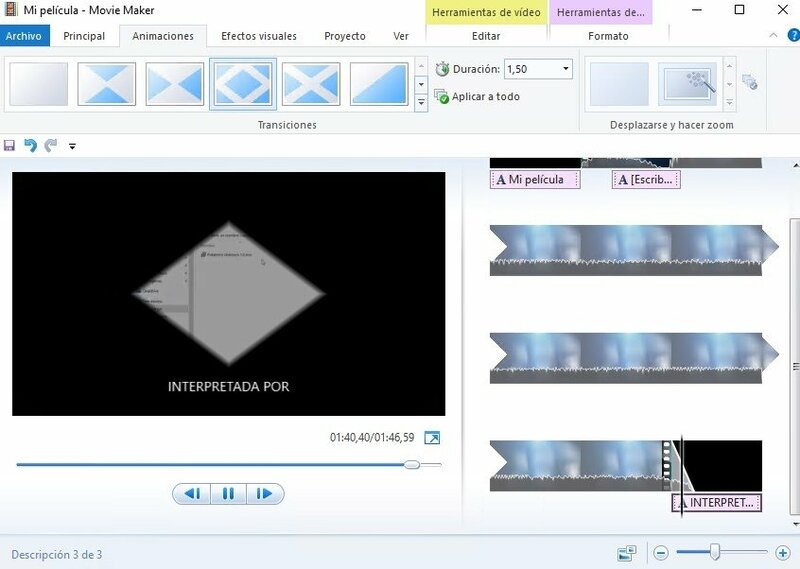 Ever since its first version, compatible with Windows Vista, was released, we've been offered a very simple program to edit and create movies, with all the functions distributed perfectly around the tab-based interface, just like Microsoft Office programs, and in which you won't need to access confusing menus. 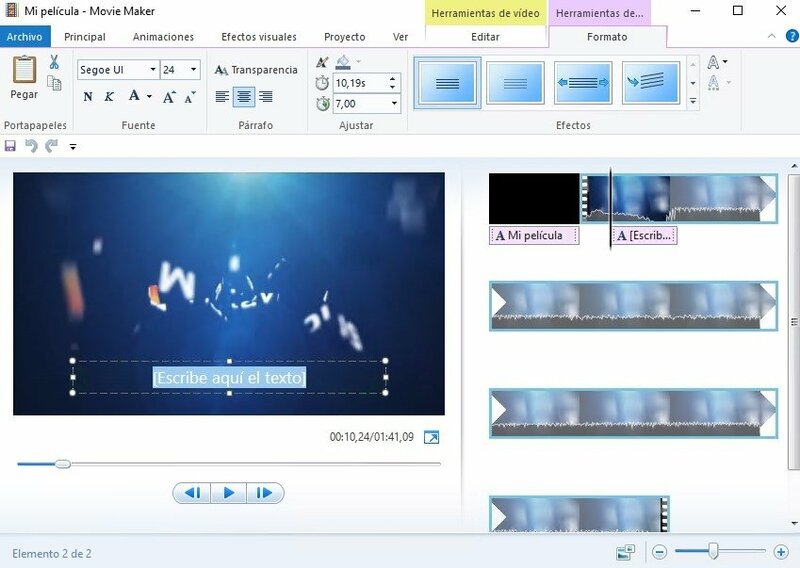 Create and edit videos based on your own recordings and photos. Tools to add your own music to the animations. 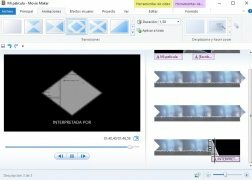 Support to create videos by means of a web camera. Save screenshots of the videos. Possibility to apply different effects. 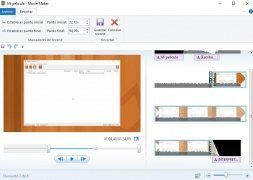 Tools to introduce narrations into the videos. Sound mixer with presets that allow us to emphasize the narration, music or videos. Editing for standard or panoramic screens. 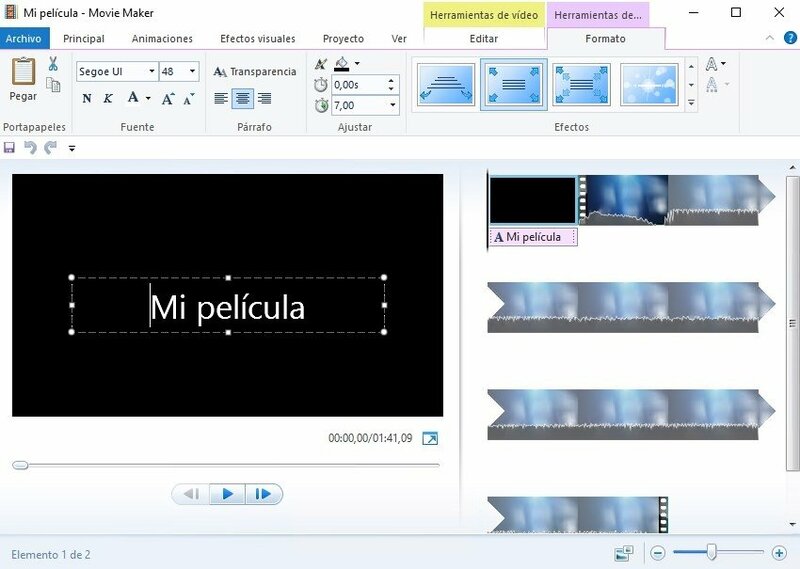 How to edit videos with Movie Maker? We have to take into account that we're talking about a very simple linear editing program, so you'll only have to insert o remove frames and video clips from a timeline, also being able to insert transitions, texts or fade-in and fade-out effects. 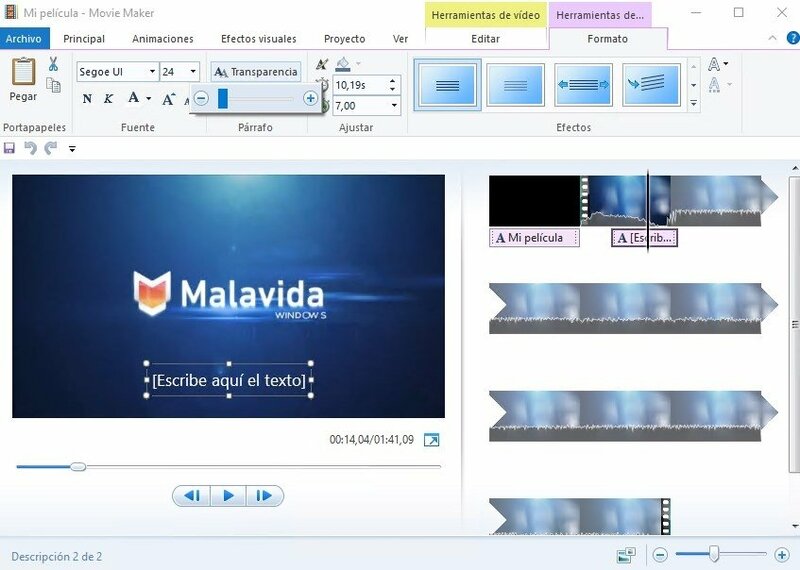 Among the formats accepted by this tool, we have to point out AVI, MPG, MPEG, MP2, MP4, WMV or ASF, as well as the possibility to convert all our videos to high definition (HD), allowing us to save movies in 480p, 720p, and 1080p resolutions. 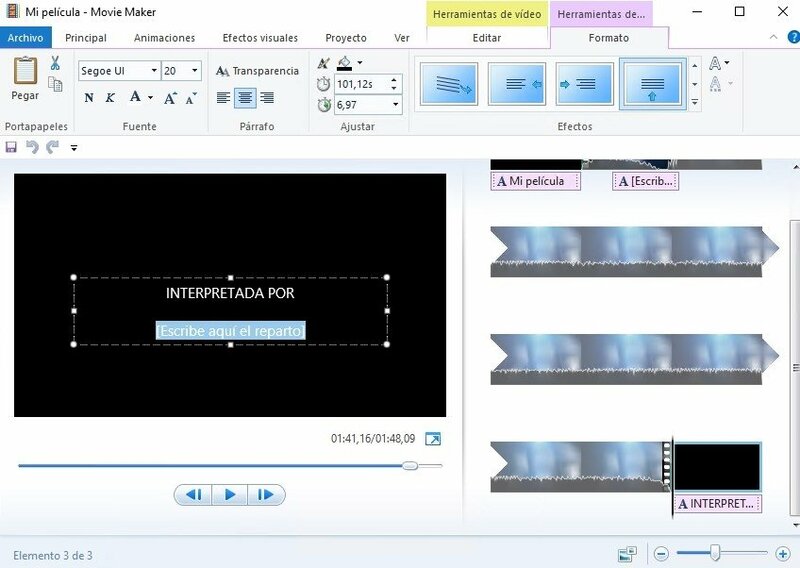 The result can be uploaded directly to our YouTube account or saved on an optical disc such as a CD or DVD. Only works with Windows Vista or above. This download is an installer and requires an Internet connection to complete the installation.